11 Click me! 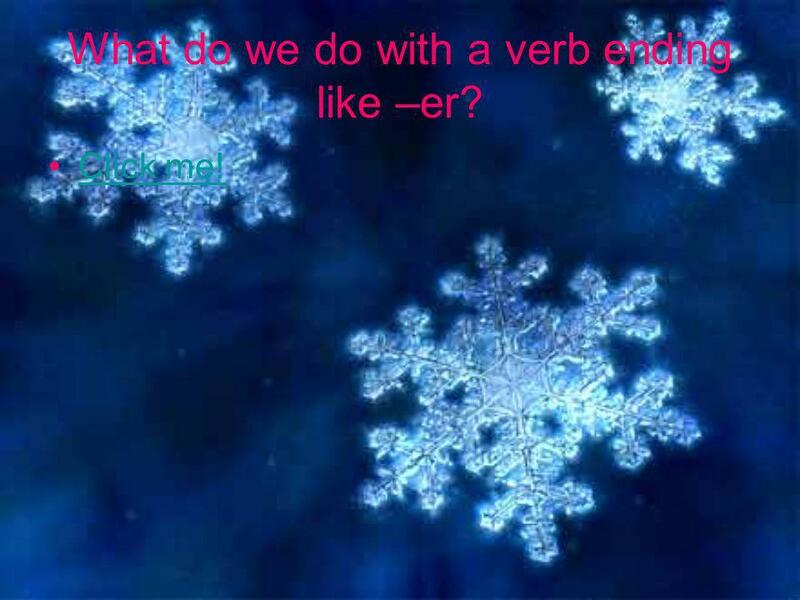 What do we do with a verb ending like –er? 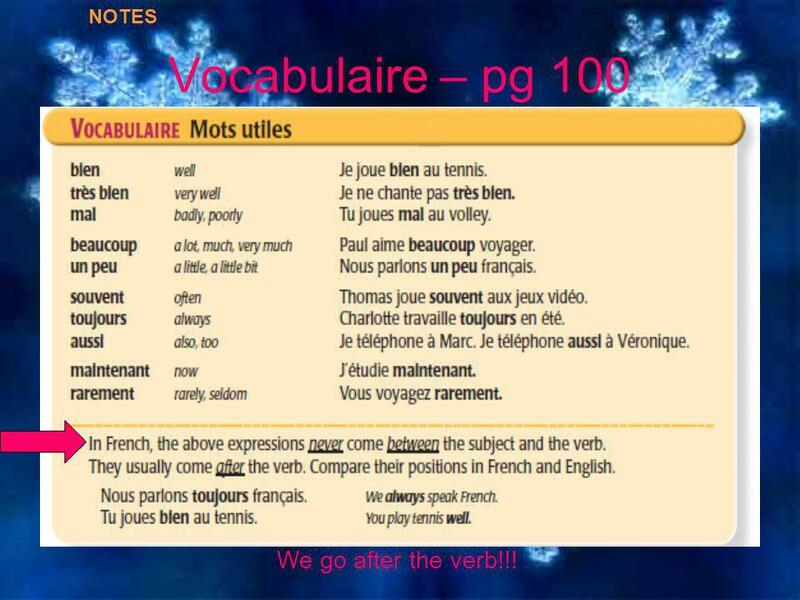 15 Vocabulaire – pg 100 NOTES We go after the verb!!! Download ppt "Leçon 7 Pages 92-101. 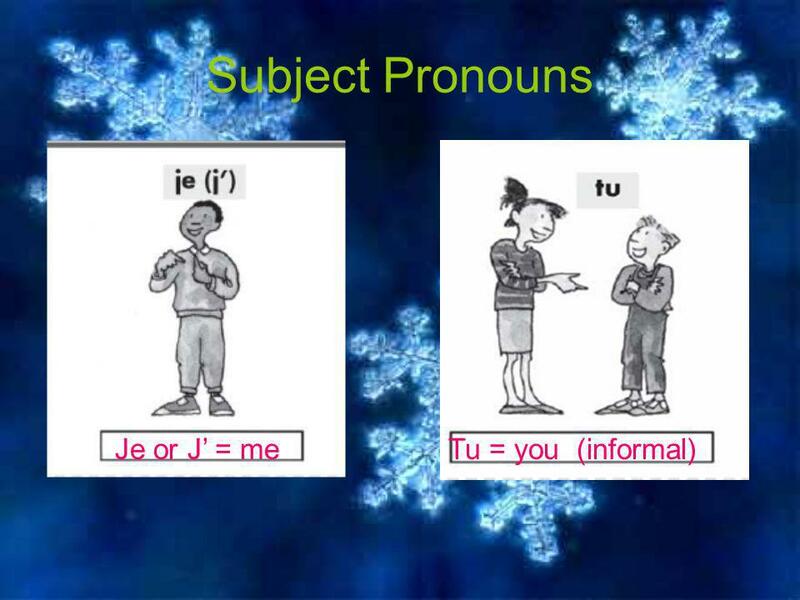 Subject Pronouns Je or J = meTu = you (informal)"
HOW TO CONJUGATE REGULAR VERBS IN THE PRESENT TENSE !!! 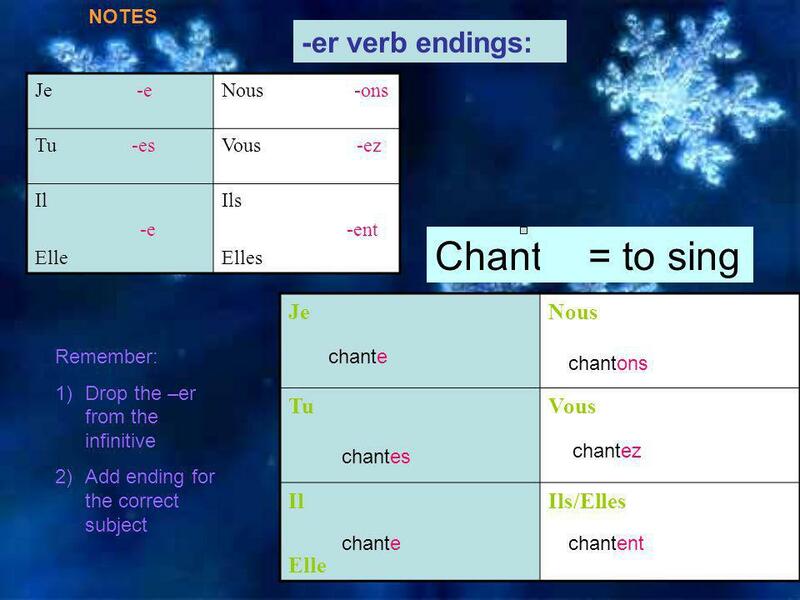 -Er Verb Endings This is the way to make sentences en français! 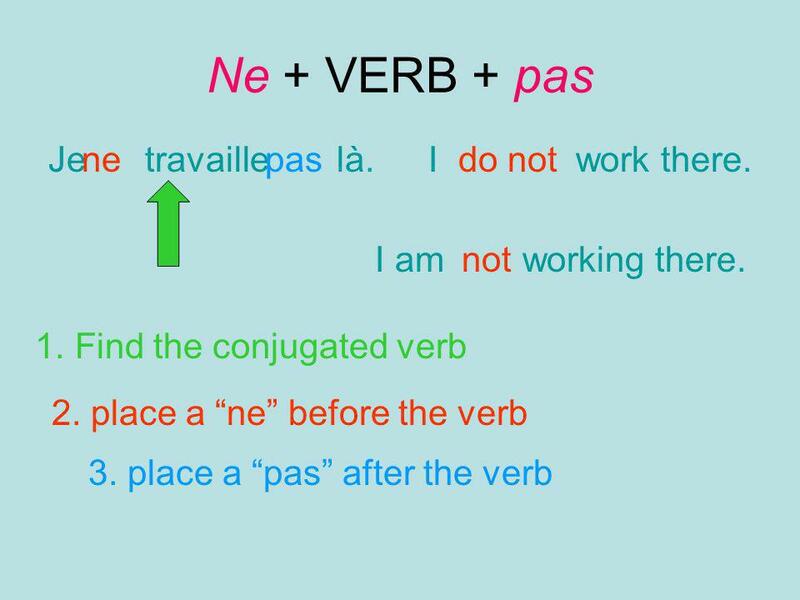 Verb conjugation, here we come! Echauffement/warm up: MATCH-UP ! aujourdhui soir demain matin ce soir bientôt ce matin this morning tomorrow today evening soon this evening morning Copy. 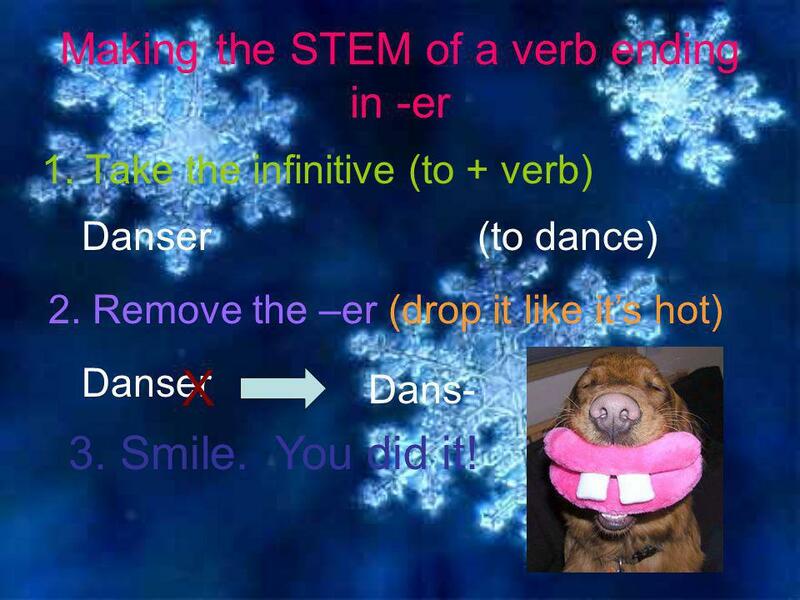 ER Verbs Verbs that end in -er. Just a quick review If you see a moi by itself it is replaced by Je If you see a toi by itself, it is replaced by Tu If. Les pronoms sujets Unite 3 Lecon 6. 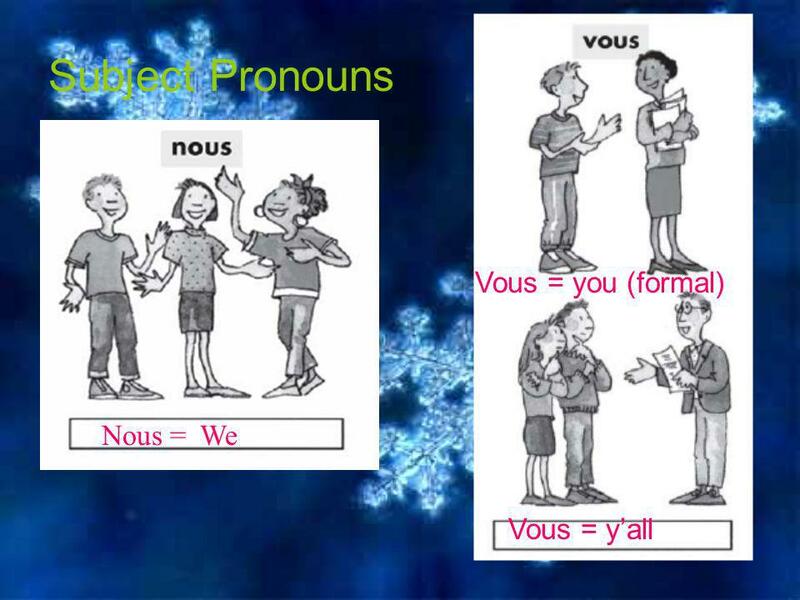 Er verbs. 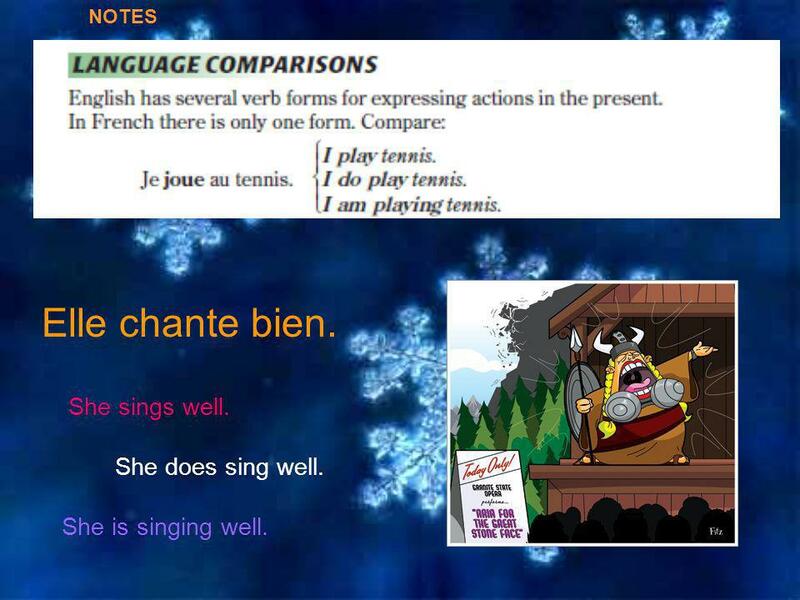 Infinitive verbs An infinitive verb in English looks like this: TO SING TO before the verb makes it infinitive In French, the marker is the. 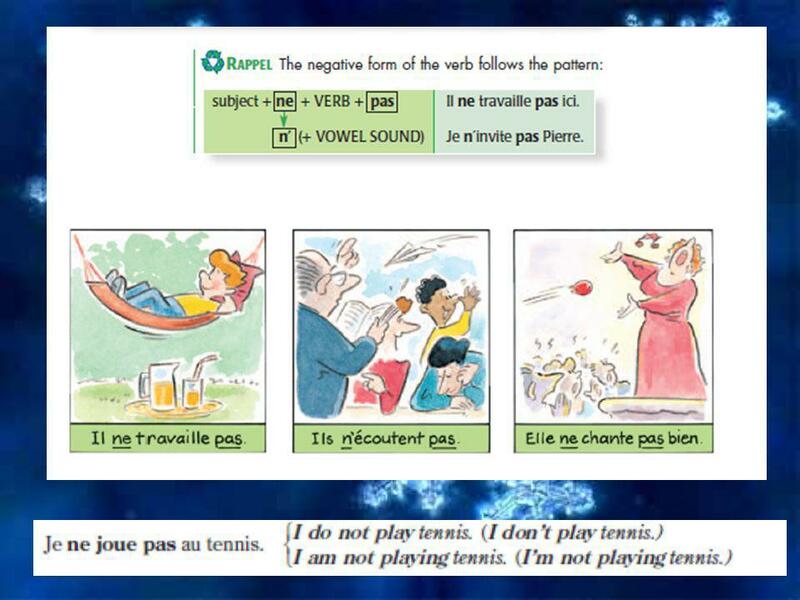 Les verbes en ~er The basic form of the verb is called the infinitive. 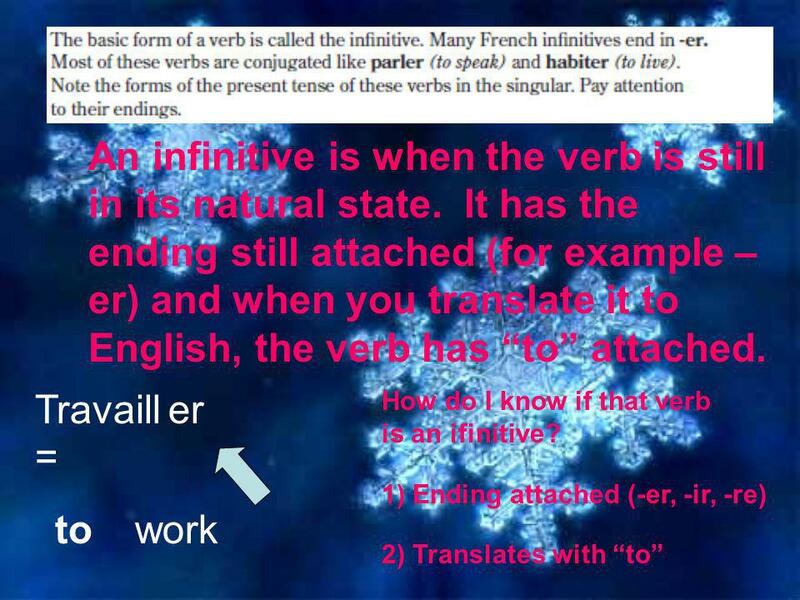 Many French infinitives end in ~er. 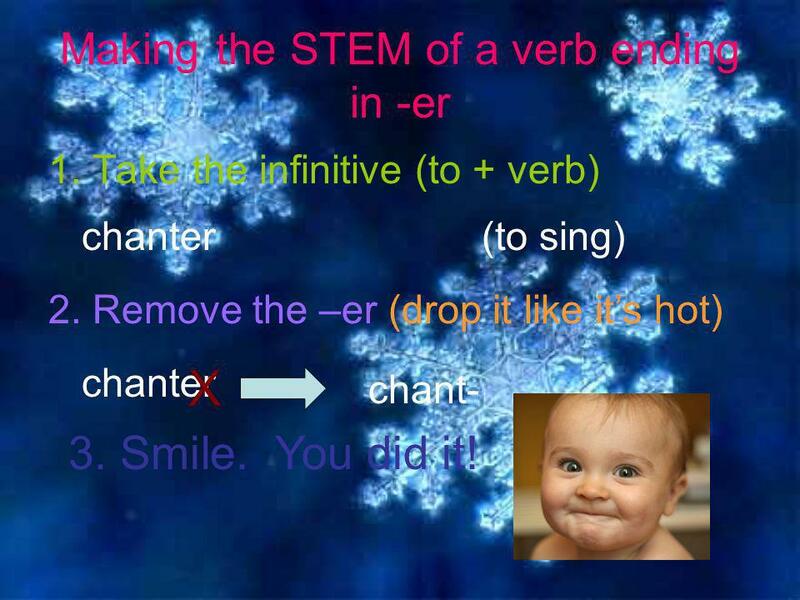 Most of these verbs are conjugated like chanter. 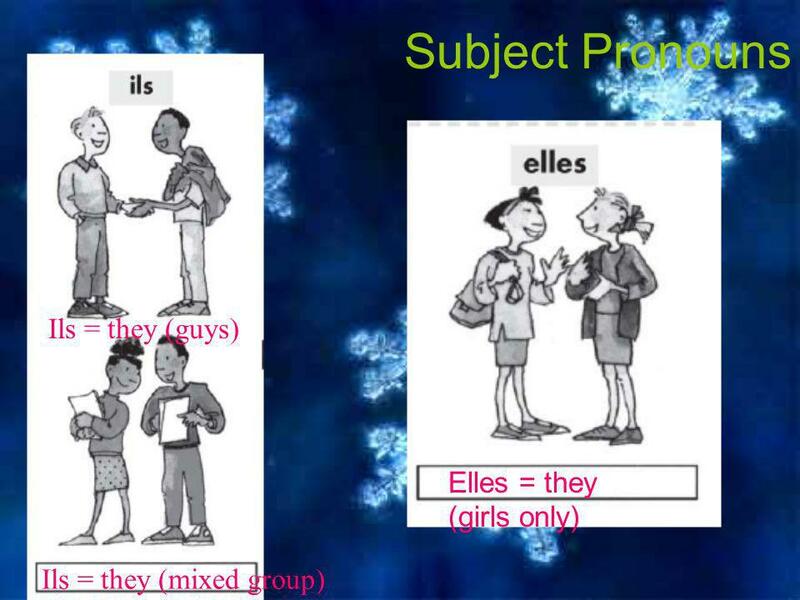 Subject-Verb Agreement Using the correct form of the conjugated verb. 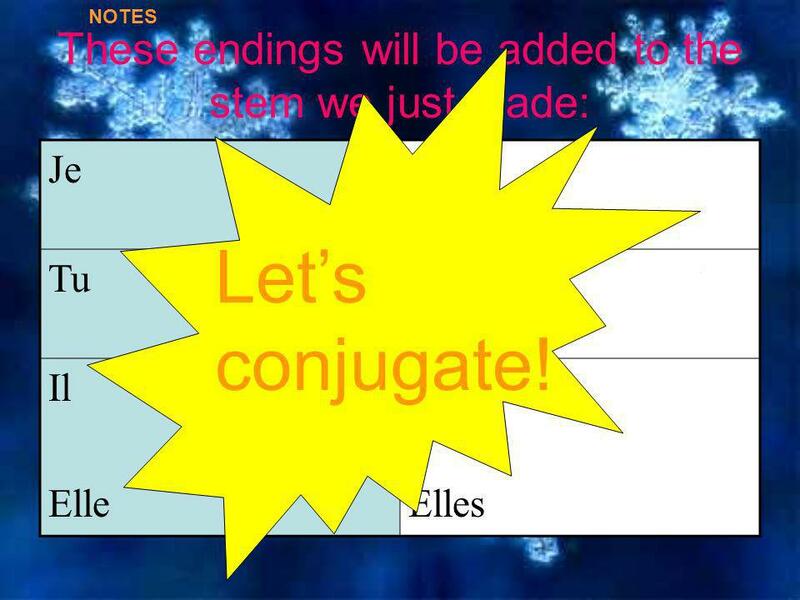 Get Your Conjugation On! Les Verbes -ER. 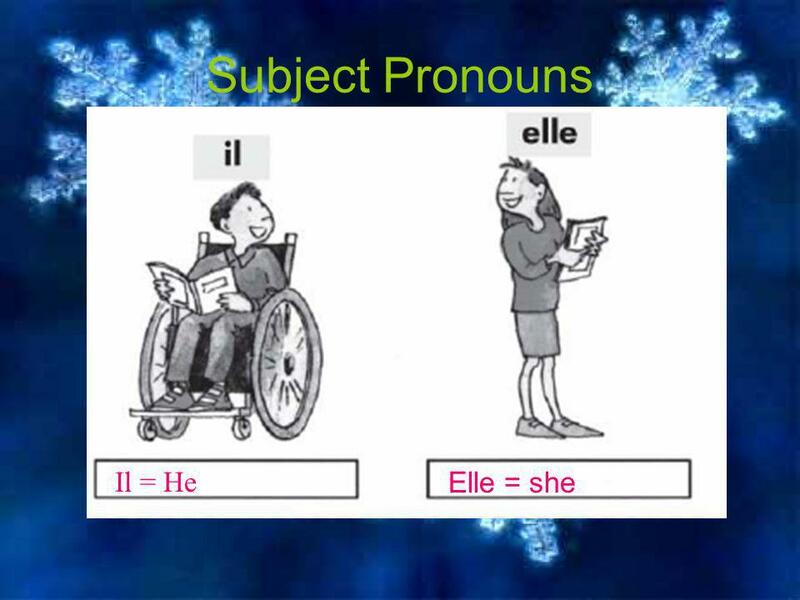 Il y a _____ categories de verbes en français: _________, _________, y _________. 3 -ER-IR-RE.